Health Costs > How Much Does Anesthesia Cost? Anesthesia is used to control pain during a surgical procedure and will help control your heart rate, blood flow and blood pressure. When administered, anesthesia will help relax you, block the pain, make you forgetful and/or make you unconscious for the surgical procedure. On average, the cost of anesthesia without any sort of insurance will vary anywhere from as little as $200 if a local anesthesia is administered at a doctor’s office for a simple procedure to as much as $3,500 for a complex surgery at a regional hospital. The costs, in the end, will depend on where you live, the hospital/doctor’s office and the procedure you undergo. To put things in perspective, anesthesia will be charged based on the “units” required, and each unit will last for about 15 minutes. Units can vary anywhere from $50 to $70. The more complex a surgery is, the more units it will require. For instance, a bypass surgery could take up to 20 units while getting your wisdom teeth removed can take less than six. If you have health insurance, there is a fairly good chance that your policy will cover a majority of the cost of anesthesia as long as the procedure is deemed medically necessary. You should only be responsible for your deductible or copay. Divifersied Professionals wrote about the costs of anesthesia and said the costs really come down to this formula: (Base Units + Modifying Units + Time) x Conversion Factor = Anesthesia cost. The article notes the time, complexity of the surgery and the general health of the patient will be a pricing factor as well. A colonoscopy, for instance, could cost $300, whereas a minor joint surgery could cost $400. The total anesthesia costs will often include the provider fee and the hospital fee, which covers the cost of the equipment necessary for the procedure, staff, supplies and medications. General anesthesia, on the other hand, will be calculated on a base unit, as specified above, and the value, again, will be determined by the surgical procedure. On your bill, you will often see your anesthesia billed by the minute and then converted into units. General anesthesia, the most common type used for surgery, will be administered by either dispersing gas through a mask and/or intravenously. This allows the patient to feel unconscious during the procedure. Regional anesthesia is a numbing agent that is given to the patient, usually in the spine or near a cluster of nerves, causing the body to become numb while the patient remains conscious. 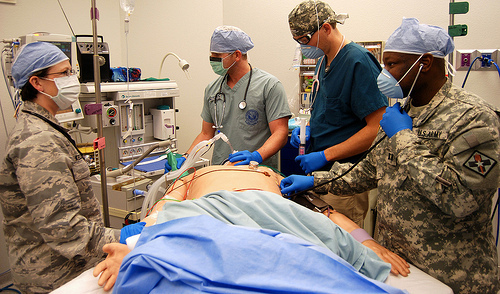 A spinal block, peripheral nerve block and epidural are all examples of a general anesthesia. Lastly, with a local anesthesia, only the area being focused on during the procedure is numbed to prevent the nerves from sending pain signals to the brain. A question that’s often brought up is the difference between IV sedation vs. a general anesthesia. To clear things up, general anesthesia allows your anesthesia provider to control your breathing with an endotracheal tube, while when under IV sedation, you are breathing on your own. Talk with your doctor as each anesthesia has its own uses and will depend on how your surgeon and anesthesia provider work together. During the procedure, a needle will inject the anesthetic near the nerve, and the patient will be wide awake during the administration. Depending on the procedure, the patient can either be given a sedative or they can stay awake. Regardless of the situation, no pain, with the exception of a pinch and/or needle-like sensation. If you do not have health insurance, most hospitals are more than happy to offer a discount to cash paying patients. Hospitals will also work with those who meet minimum income requirements. Talk to your hospital’s billing department for more information. If you plan on using your health insurance policy, make sure the anesthesiologist you’re using will be in the insurance company’s network. If you do not have insurance, consider looking for quotes for free on eHealthInsurance.com.